Launched in 2007, the Big Ten Network reaches disparate yet valued audiences across 14 schools throughout the country. In order to connect with these audiences and showcase the greater impact of the Big Ten Conference, on and off the field, they needed university programming that would transcend individual universities and their affiliated athletic programs to tell a unified brand story. 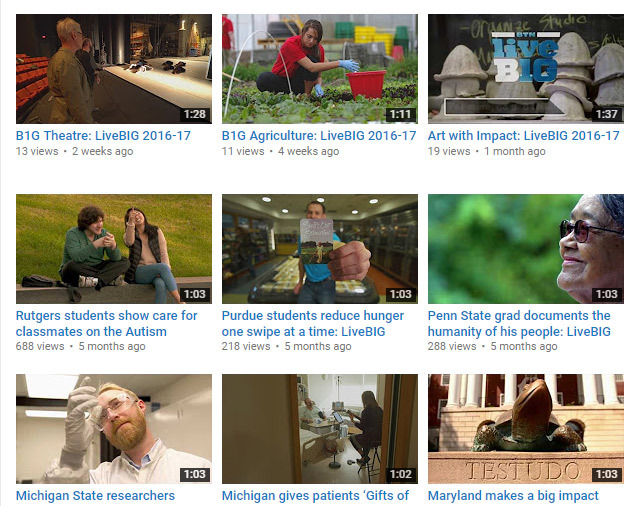 We created BTN LiveBIG to bring the socially impactful work of Big Ten universities to audiences beyond Big Ten campuses, providing opportunities to get involved and deepen their affiliation with the Conference. 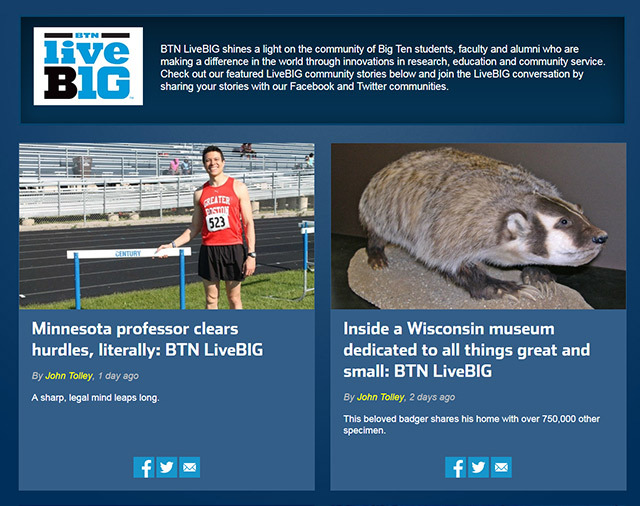 We built BTN LiveBIG into a cross-platform campaign, starting out as a television program, then widening our scope to encompass digital and social platforms in the 2013-14 season. In 2016, we refreshed how the campaign looked on TV and digital and expanded both how we tell our stories and where. On the television side, we created a fresh look, complete with a new motion graphics package, including university-specific opens and branded elements. By creating engaging, emotional stories around science, philanthropy and the arts, we encourage students, faculty and alumni to share their school pride and elevate the Big Ten’s story in unexpected ways. BTN LiveBIG vignettes air on the Big Ten Network and other major networks during popular football, basketball, and other collegiate sports, showcasing inspiring and impactful stories off the field. TeamWorks curates and manages an online community on BTN.com and across social media (Facebook, Instagram, Twitter) featuring daily original articles and Teamworks-produced videos profiling students, faculty, and alumni who are making a positive impact in the world. 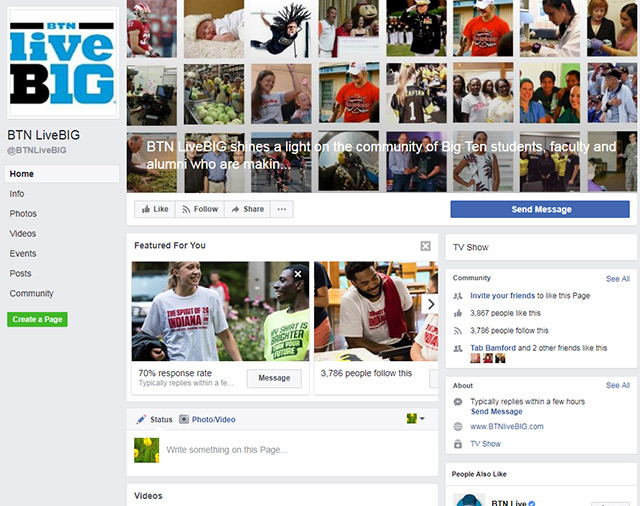 BTN LiveBIG social media content reached 2.1 million people with 35,000 engagements in the first year of the current campaign and 3.8 million since 2014. BTN LiveBIG social media impressions rose 60% and engagements rose 270% over the last year. 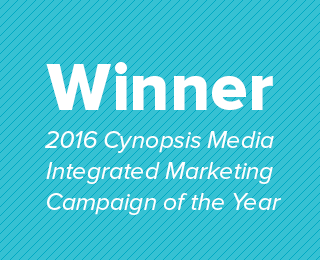 Winner of 2016 Cynopsis Media Integrated Marketing Campaign of the Year, beating out the likes of NBC Universal and Discovery Communications. To learn about how we can build a storytelling campaign to inspire your target audiences, get in touch with Katie [at] TeamWorksMedia.com.